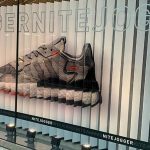 Big news in brand awareness: Large fabric backdrops are making the scene, creating a huge impression on audiences everywhere. 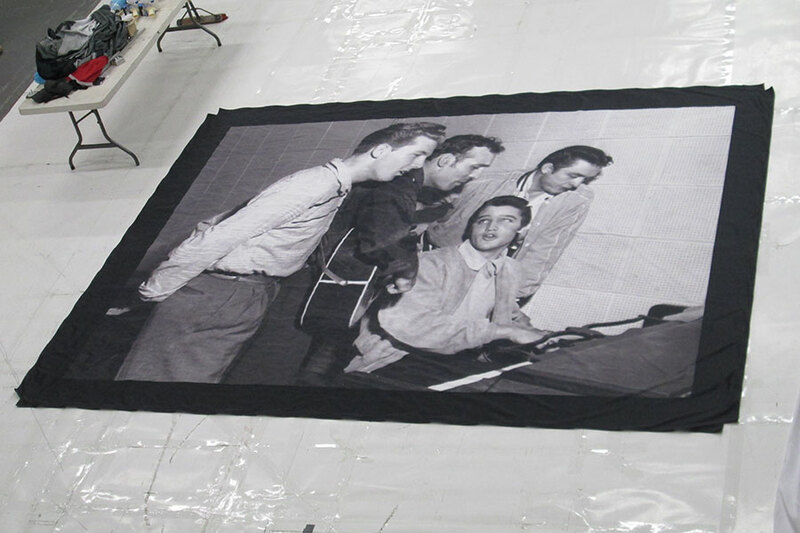 Branded fabric backdrops can be small, or massive, in full dazzling color or elegant black & white. 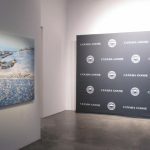 Backdrops can help you call out to crowds from store windows, transform areas into marketing arenas at trade shows, and backup guest speakers at galas. They can also reveal your marketing message outdoors, in the form of huge displays hanging from the side of multi-story parking garages, buildings, sporting arenas, and more. 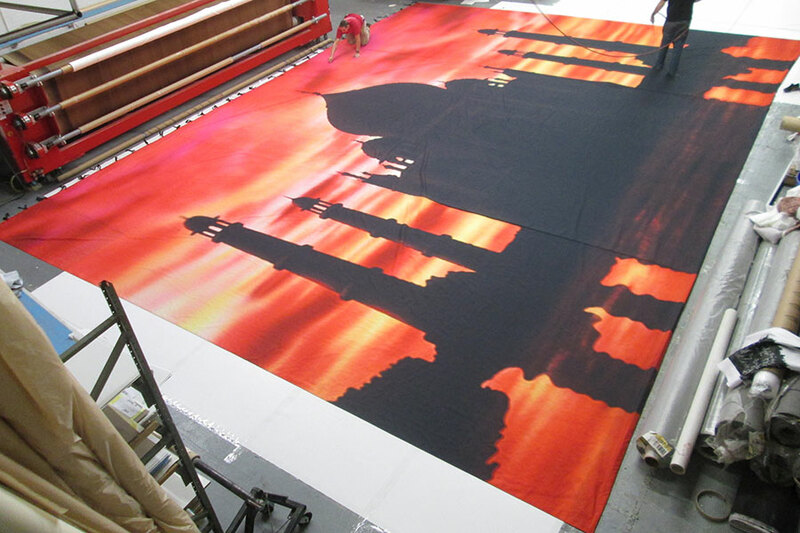 What’s different about Custom Fabric Backdrops created by Enhance a Colour? Well, size. As in gigantic capabilities, but also the intensity of color, the quality and durability of the materials, and of course affordability. 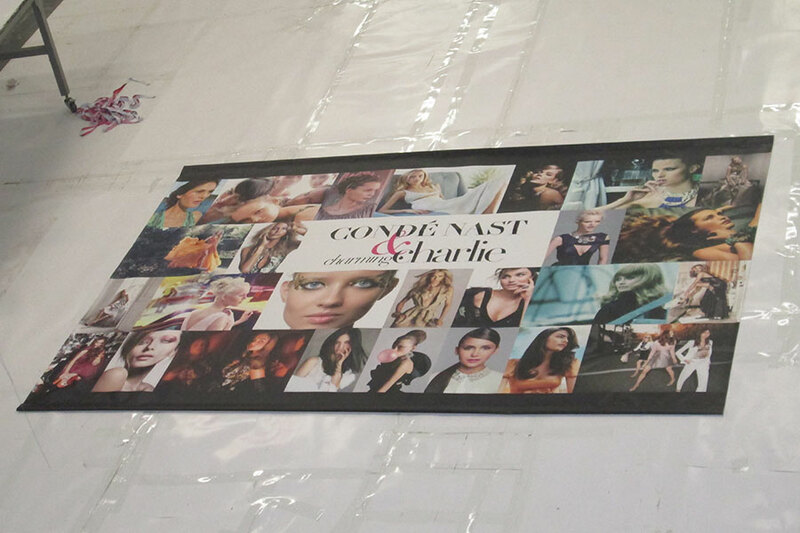 Using our advanced capabilities of dye-sublimation printing, we are able to print up to an amazing 16 feet high by 100 feet in length, displaying your message and logo in vibrant color and detail. 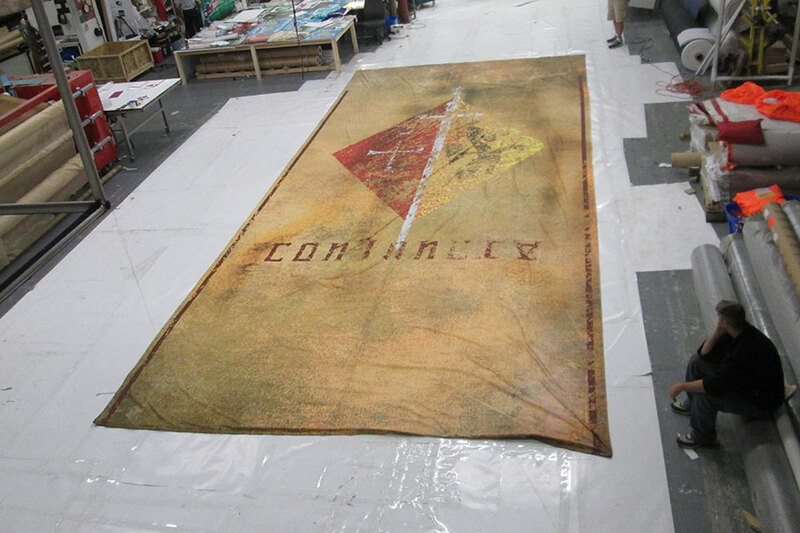 For even bigger backdrops, larger pieces can be joined together with custom hidden seams. 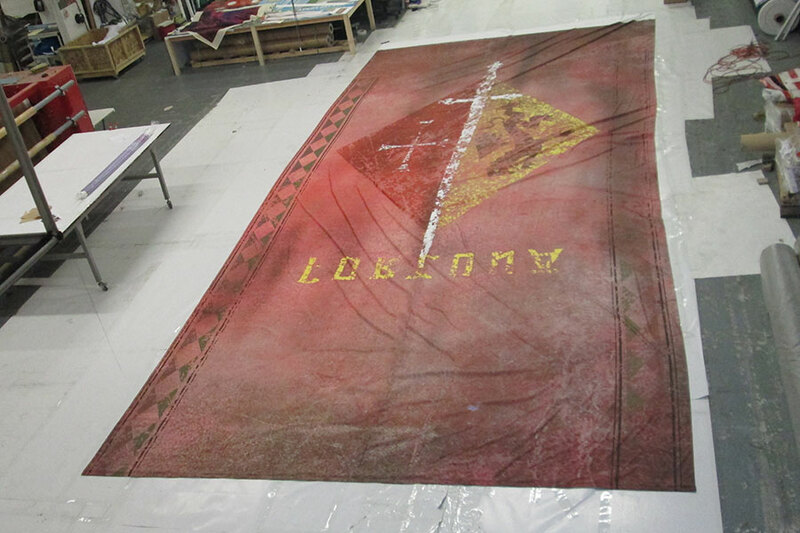 With dye-sublimation printing by Enhance a Colour, the ink is applied directly to the fabric at a temperature of 400 degrees with intense pressure. The ink actually becomes part of the material. The finished piece can show off your brand in the entire spectrum of colors, and is brighter and more detailed than ever thought possible. Other companies print using solvent UV ink which chips and cracks with time, and appears less vibrant. Our fabric can be machine washed and dried, folded, ironed, and steamed repeatedly without worry of fading. We offer several different types of fabrics for you to choose from, like see-through Voile, matte finish Poplin, heavyweight Trevira and Broadway, shiny finish Crystal, and backlit Canvas. Our in-house sewing department can create anything you can envision, and of course, we are available to help you decide which fabric backdrop will suit you needs best. 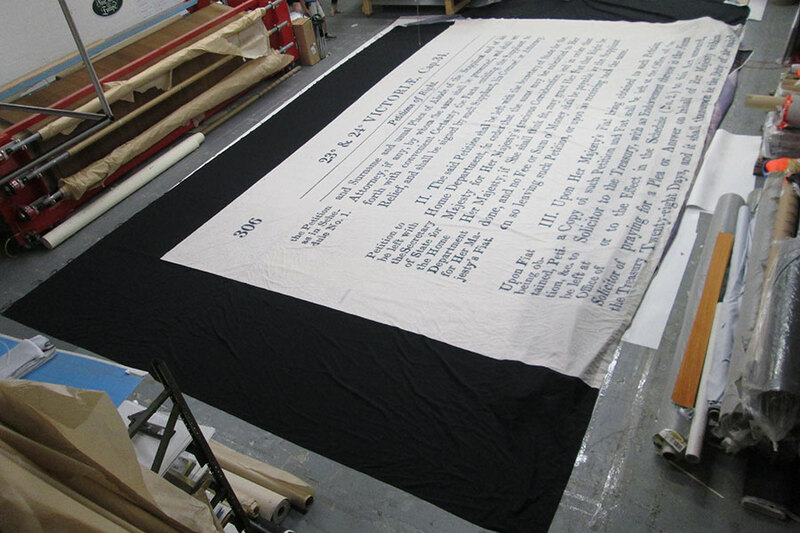 Fabric backdrops are lightweight compared to other materials, so they can be shipped at less cost. We can even build custom Pop-Pin Aluminum Frame Systems for you, to rent or own, that fit swiftly into their travel bag. 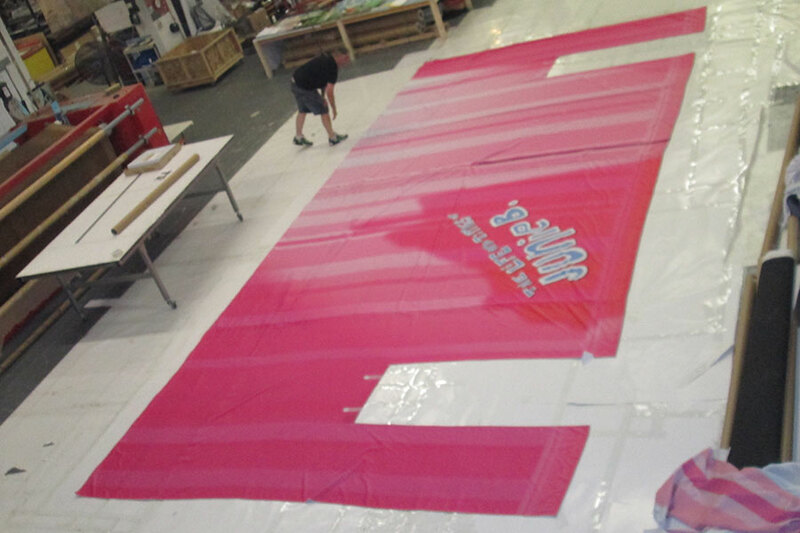 With Fabric Backdrops by Enhance a Colour, your brand can easily become and remain very big news. The designer was David Lander and Peter Mckintosh.